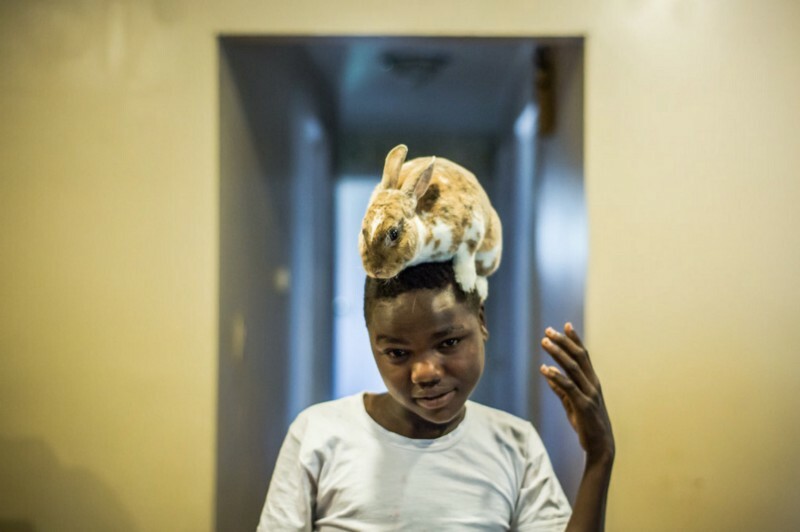 Accolades season has come and gone, so this seemed like a good time to look at some of the in-depth photo essays about migration that were honored this winter. 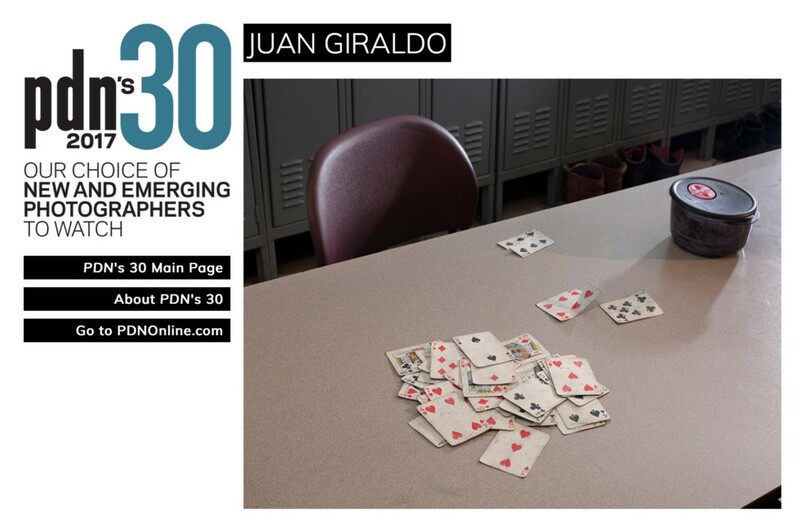 For starters, it’s really great to see that PDN’s 30 under 30 portfolio highlighted three photographers whose work has been intimately informed by their own immigrant or refugee experience. Just how unusual this appears shows how far we have yet to come as a field to be fully representative and supportive of diverse perspectives. 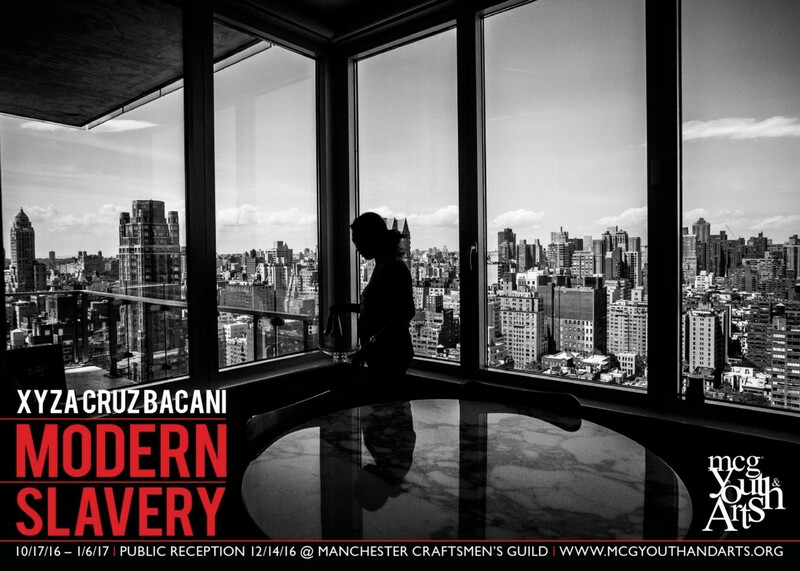 Originally known for a street photography style that portrays human isolation and alienation in Hong Kong in stark, narrative b&w frames, the young Filipina photographer has since begun to pursue social documentary themes, spurred on, among other honors and opportunities, by a 2015 Magnum Foundation Human Rights Fellowship. Her focus on domestic labor migration — a background she shares — is turning a biographical backstory that publications might reduce to a mere marketing tag line into a springboard to expose exploitative trans-national and class relations, working with women from a position of shared understanding. An Iraqi native whose family came to the US via Syria, Georges has been creating a beat for himself portraying Detroit’s diverse immigrant communities. “I went through the hardship of being a refugee twice, and I wanted to express my experience and feelings but I didn’t know how.” Until, during a college photo course, a teacher pointed out the importance of his access to a community not often portrayed in the US media. “And I thought, ‘This is really cool.’” Having found his medium, Georges landed first an internship and then a staff position at the Detroit Free Press — and a school project that began with pictures taken at a coffee house frequented by his Dad has turned into a multi-year exploration of one of America’s largest Muslim immigrant communities. “I wanted to show what it takes to come here. 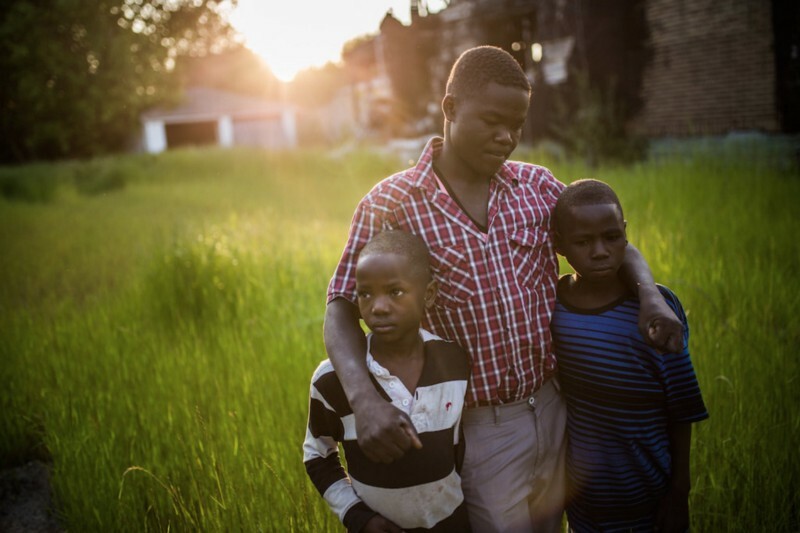 As I photograph refugees, in every photo, I see myself and my family’s story.” A big congrats to the young photojournalist who was just hired as a staff photographer at the Washington Post! Born in Colombia and raised “in the shadow of New York City,” Giraldo has been photographing Great Lakes Reload warehouse workers and their families on Chicago’s far southeast side. Shot deliberately, slowly on 4x5 format, the resulting series Blue & Blue consists of collaborative portraits that are paired with domestic still lives conjuring the iconography of blue-collar, Catholic, first generation immigrant lives. Images from Juan Giraldo’s “Blue & Blue” series, at left: Lunch Time, Chicago, IL 2013, and right: Card/Leftovers, Chicago, IL 2013. There have been quite a few exchanges in the English-speaking social media sphere of late, discussing problems of representation within the field of photojournalism. Several new initiatives have sprung up over the past year. Some aim to address the lack of opportunities for women: Women Photograph for photojournalists specifically, as well as Riot Grrrls of Journalism on Facebook and the Women in Journalism mentoring scheme, both of which include numerous photojournalists. There’s now an African Photojournalism Database and an agency, Native, that sets out to “empower local visual storytellers to connect them to a global audience.” The latest effort under way will list Photographers of Color in an online resource similar to Women Photograph. It remains to be seen if we can collectively move this profession towards a better balance of stories (and storytellers) reflecting the communities we report on. Beyond the above mentioned initiatives, it’s paramount to create opportunities for voices representing a host of other life experiences, as well. And for “diversity” to not be reduced to a fig leaf treatment, changes will have to be fought for not just in the ranks of the photographers hired, but in all echelons of the media organizations they work for. Over the past few months, many “state of the industry” articles have decried the prohibitively high entry point into the field of photojournalism and the resulting lack of economic diversity. The three photographers chosen by PDN are creating projects that portray and honor working class lives shaped by migration. These stories exist, and at a time when economic anxieties are being exploited as a racial wedge issue, not just in America, it’s important that these types of narratives receive support and recognition. Looking at the larger roster of this year’s 30 Under 30 makes immediately clear, however, how far we are from any sort of parity. Paid internships, and honest mentoring are just some of the measures that can make a difference in opening doors for a new generation of visual journalists, so hopefully this collective moment of soul searching will result in actual changes. 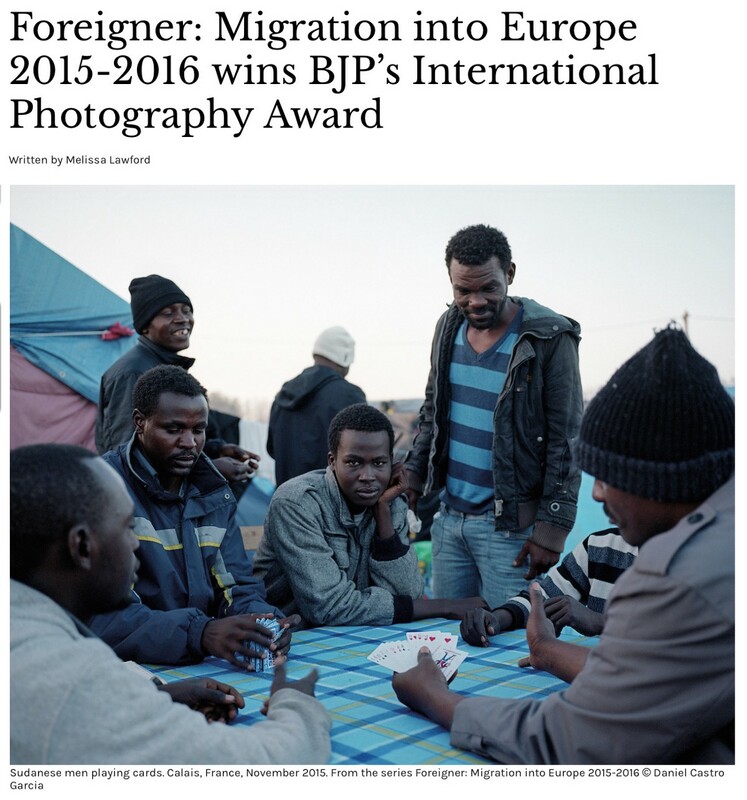 “Foreigner” was awarded a BJP Award and Solo Show. Daniel Castro Garcia’s impressive series Foreigner has been receiving lots of accolades, rewarding a quiet and sustained approach to photographing well-covered places and scenarios that manages to break through the glut of news imagery. Initially self published as a book to counter the heated anti-immigrant rhetoric of the Brexit campaign, the scope of the work is enormous yet intimate. ‘Foreigner: Migration into Europe 2015–2016’ was created over several weeks Castro Garcia spent interviewing and getting to know migrants in France, Greece, and Italy. Foreigner is an ongoing personal body of work, and new portraits, interviews and film footage will be included in a solo exhibit at London’s TJ Boulting gallery, March 16th to April 8th. When Boushnak first met Mohammed, an 11-y.o. boy living in a Palestinian refugee camp in southern Lebanon, he had just survived a cluster bomb explosion that cost both of his legs. 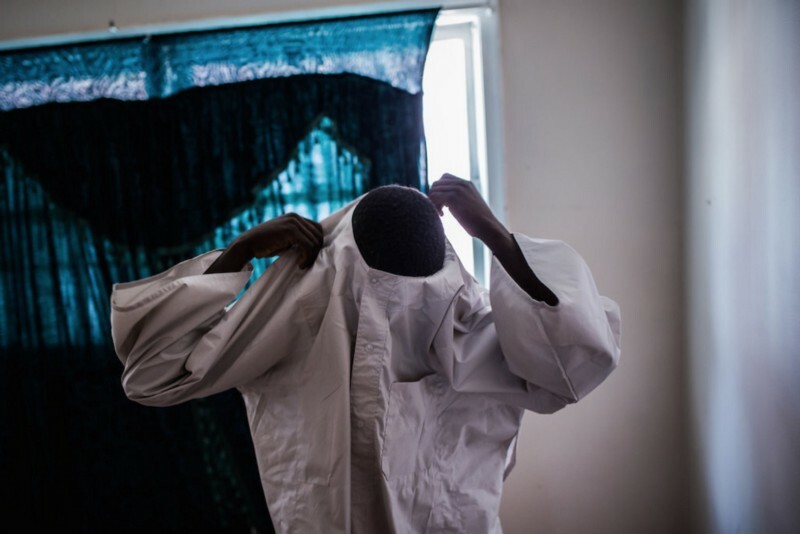 Now, ten years later, he is a young man still suffering the physical and psychological effects of the 2006 war. Watch Boushnak’s Ted Talk on the legacy of cluster bombs, in which she discusses her long term commitment to Mohammed‘s story. Mauricio Lima: Europe: Just Wanting to Arrive! We’ll review grant-funded projects at a later date, but since the runner-ups are basically award recognitions — all fame, no fortune! — here’s a list of the three documentary bodies of work focusing on migration in Europe that were recognized. All three projects choose a visual style that tries to make sense of the vastness and disjointedness of the situation, and the sometimes remote, sometimes physical violence of border management, from Pilos’ diptychs, to Tzortzinis’ panoramas, to Degnbol’s drone imagery. From Nikos Pilos: Trapped. Fotovisura Top Finalist, Photojournalism Grants. The African Portraits – the full series can be seen on Mahesh Shantaram’s website. Ivor Prickett, Ireland: Caught in the Crossfire, Mosul, Iraq. Paşa İmrek, Turkey: War & Migration, Syrians at the border with Turkey. Ivor Prickett: Caught in the Crossfire, civilians in Mosul, Iraq. 15 male photographers, 2 women. The majority of projects focus on Europe and the Middle East, save 2 American and 2 Asian stories. A pretty good ratio of people documenting issues they feel personally connected to, or photographers covering political issues on their home turf. The Rory Peck Trust honored a number of Freelancers covering migration: Will Vassilopoulos and Marco Salustro with TV reporting from Lesbos (news) and Libya (news feature) respectively, and Marcel Mettelsiefen whose Children on the Frontline: the Escape has become an Oscar-nominated documentary short called Watani – My Homeland.